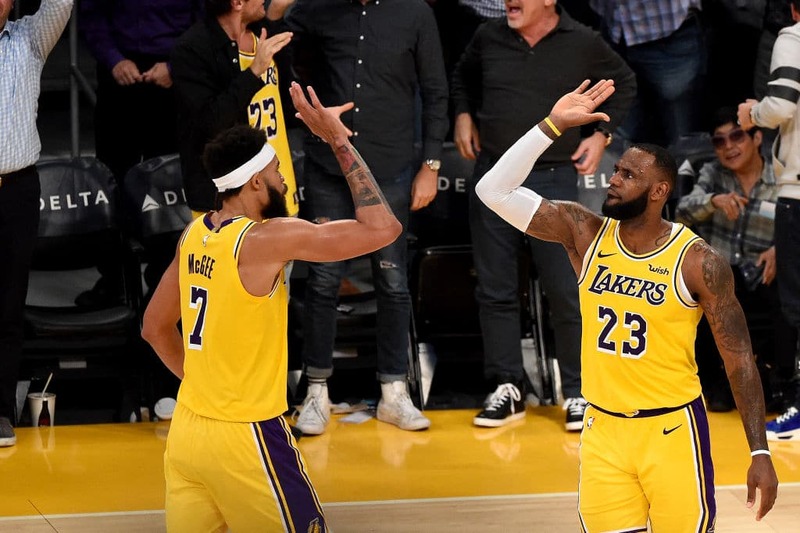 JaVale McGee‘s wholly unexpected career turnaround has been a pleasant surprise, and LeBron James says he’s thrilled to have the big fella on his team. McGee, 30, has thrived while patrolling the paint on both ends, forging his way to career-high numbers in blocks and points per game — one of the keys to the Laker’s recent success this season. JaVale insists all he ever needed was a chance to showcase his skills, and now is aiming to become an All-Star, average a double-double and lead the League in blocked shots. And we think he’ll get there. He’s living the life that few in the NBA get to experience. He’s teamed up with the best players of this generation — Kevin Durant, Stephen Curry, LeBron James. He’s won two championships, part of Golden State’s back-to-back titles over the last two seasons. And now he’s the starting center for the Los Angeles Lakers, getting a chance to play big minutes and put up numbers for the first time in nearly a decade.